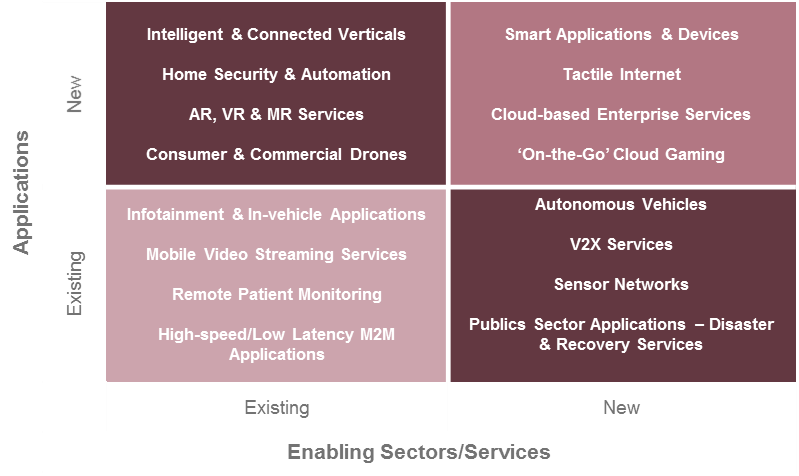 The Juniper Strategy Quadrant below illustrates the existing and new applications against the different enabling sectors in the IoT world that 5G will enable. There is both a need and a desire to solve the ARPU problem that network operators are facing; carriers are considering different service scenarios that they could deploy to garner payback from their network license investments. 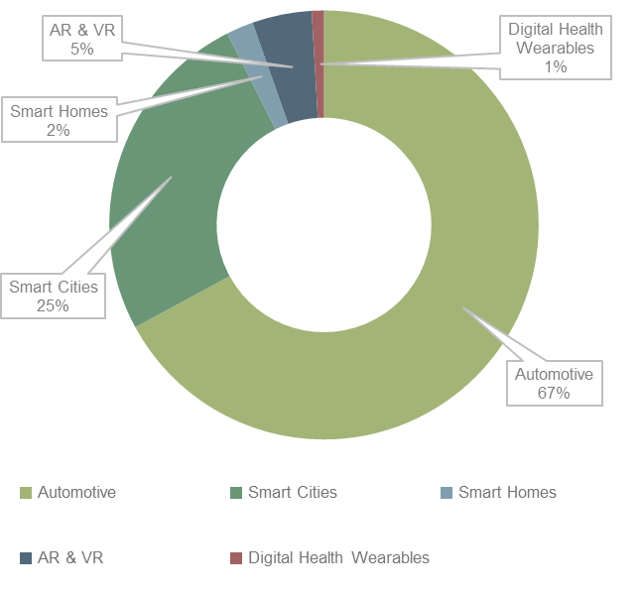 As shown in figure 3, automotive 5G connections will generate 68 percent of all data generated by 5G IoT connections. This in turn is driven by the high data generated by future AV (Autonomous Vehicle) systems. Juniper anticipates that a full AV could generate more than 1TB of data per day. Additionally, smart city technologies are anticipated to generate 30 percent of all data by 2025. In these instances, data will be driven by the public Internet gateways that connect city residents to the Internet and infrastructure management.